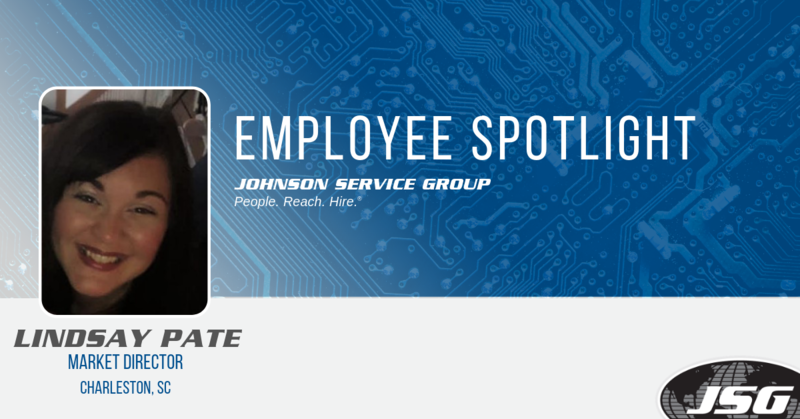 Lindsay Pate is a Market Director here at Johnson Service Group and works out of our Charleston, SC office. 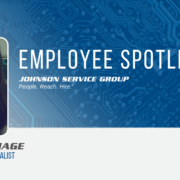 She has been with JSG for over 13 years and offers a wealth of knowledge in the staffing and recruiting industry. We sat down with her to get to know her and her team a little bit better. Here’s what she had to say. 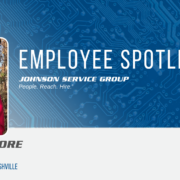 Tell us a little about your time here with JSG and your office in Charleston. 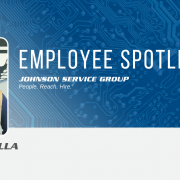 I started working for JSG in October of 2005 for the Charleston, SC office. The office opened up just six months prior to me being hired as a Staffing Coordinator. When this office was established, it was created to service our aviation efforts. Since then, it has evolved into specializing in the IT, Engineering, and Professional Services industries. 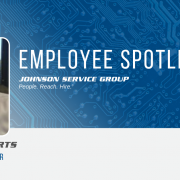 A few months after working at JSG, I became a recruiter, which is where I found my passion. Through the years, I have been promoted to a Senior Recruiter, a Branch Manager of our office, and I now serve as a Market Director. 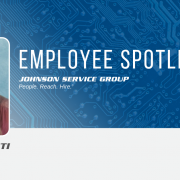 You’ve been with JSG for over 13 years. How has the company changed through the years and what’s kept you here for so long? It has been interesting to watch JSG and the Charleston office evolve through the years. When I first started working, we didn’t even have an IT or a Marketing department. 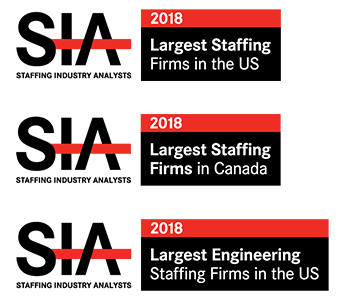 Over the years, JSG has done a fantastic job streamlining processes and remaining competitive in the staffing & recruiting industry. 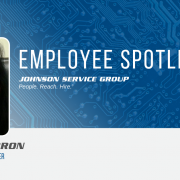 I worked for another staffing firm briefly before my tenure with JSG. 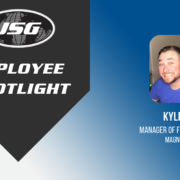 I wasn’t sure I would enjoy a career in the industry, but JSG reignited my passion for recruiting; the company gave me the opportunity to grow as a recruiting professional. The leadership at JSG is fantastic. 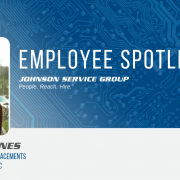 I have had the opportunity to work with great leaders throughout the years and Mike Measures, our Senior Vice President, is a tremendous asset to our team. What are your goals for you and your team this year? Our goal is to be the best. We take pride in the relationships we have developed over the years and it’s our goal to continue to foster partnerships with both our clients and candidates. We have the right people and if we continue to be faithful to our commitment of service excellence, we will have an incredible year. Connect with Lindsay on LinkedIn!